Search engine optimization consultants in Minneapolis and around the world know that staying up to date on the constantly changing nature of SEO is challenging. 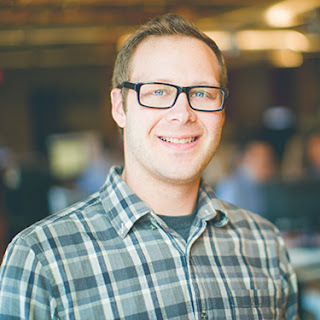 In this Q&A with Minneapolis SEO expert Josh Volk, vice president of SEO at digital marketing agency Rocket55, he shares his tips on how to stay up to date with SEO, what he's looking forward to at MnSearch Summit and more. 1. What are some of the highlights of your career so far? Some highlights from my career (which is still relatively young overall) include: surrounding myself with really great, enthusiastic people, doubling site traffic for low volume, highly technical, niche industry sites, and having an attorney once ask if he could quit his current SEO provider so he could follow me to my new employer (I didn’t let that happen). 2. What trends are you seeing in SEO? One of the major trends in SEO is an overall greater emphasis on creating a holistic user experience. It isn’t enough to just create optimized content, slap it on your site and call it a day. Keywords are great, and still one of the cornerstones of SEO, but Google is learning at an astounding rate every day about what is most useful, unique and worthwhile to a user. Websites have to be technically sound on the back end, have content speak to what a user is looking for, be engaging enough to keep that user around or get them to convert in some way, and have the ability to gain recognition -- either through organic backlinks or social sharing or just plain direct traffic as more and more people come to know and understand your brand. Beyond that, your citations, social media, Google My Business, reviews and even your offline decorum, among a host of other things, should be constantly updated and attended to. The bottom line is SEO isn’t just confined to the words on a page anymore. There are so many ideas and concepts and platforms and ways to reach and engage with audiences, that search engine optimization isn’t just confined to the 10 blue links that show up for a search anymore. 3. How can people stay up to date with SEO? Staying up to date in SEO is a job in and of itself almost! Blogs and industry news are always the best source of information. These exist because Google changes almost every day. The algorithm is constantly updating and many of the platforms are also getting new updates almost weekly. Google My Business is one of those platforms that Google has been really throwing a lot of stuff at lately, after years of somewhat languishing behind both search and paid. Some of the best places to get information from include: Search Engine Land, Search Engine Journal, Blumenthal’s Blog (for Google My Business), and Moz. The other place to get great information is to run tests. Try things out and see what happens (on a test site if possible). Track stats through analytics. Make notations. Do things differently than you might normally and you just might find something new and innovative that you can apply to other websites. 4. Which presentations are you looking forward to at MnSearch Summit? Why? The MnSearch Summit always provides a plethora of amazing speakers and this year is no different. The keynotes from Oli Gardner, Wil Reynolds and Dr. Pete are going to be highlights for sure! If you are into local SEO, do not miss out on Joy Hawkins and Darren Shaw. These two have been on the forefront of Google My Business, citations and reviews for a long time now, and are some of the industry’s most knowledgeable. Jeff Sauer is a great speaker and always entertaining. He does a lot with analytics and measuring success, and his talk is going to be on automating analytics results for busy humans (just like myself!). And then there’s John Mueller. He is a trends analyst for Google and is the man behind all of the Webmaster Hangouts. If ever there was a question about SEO or something that may be coming up in that realm, he is one of the guys who understands what goes on behind the curtain! Hopefully he will have some great insights for all of us as to what the search giant is up to and where it may be going. 5. What advice would you give to people entering the SEO field? For people entering the SEO field, be open to learning. SEO changes at such a rapid pace that it should be one of your highest priorities. Take in as much as you can and don’t be afraid to do the dirty work. I started out doing link building and outreach, writing short page copy and implementing image alt tags. I then moved on to optimizing Google My Business listings and then learned (and am still learning) all that I can about technical SEO and how to best optimize a website for users. It’s the down and dirty stuff that really makes you see how many of the puzzle pieces fit together to form a cohesive picture. Always be learning, always be testing and always take on the projects that not everyone wants. 6. You're known as a beer aficionado. What do you recommend people drink on their "Top 10 Weather Days" this summer? Finally a question that I can sip on for a while. When it comes to beer, there are so many options that it can be fairly intimidating. I’ve tried more than 2,500 unique beers and can truly say these are my favorites for summer (which is not to say they are my favorites for winter or fall, as colder weather generally means switching over to a sweeter Oktoberfest or heavier, smooth stout). 1. Red Angel by Wicked Weed Brewing: As sour beers go, this certainly isn’t the most sour, or the most tart, but instead it drinks like candy. It’s aged in red wine barrels and blended with raspberries and has a sweet, mild tartness that accompanies any summer day. 2. Hopslam Ale by Bell’s Brewery: This double IPA comes out in the spring and is a welcome blast of resin and pine that will wake you up to the end of winter. 3. Honees Honees by Oliphant Brewing: This light golden ale is brewed with honey, lactose and peanut butter flavor… It literally tastes like a velvety, honey-infused peanut butter cup and at only 5.6 percent, can be sipped on all day or night. Perfect as a dessert (or late breakfast). 4. Chimay Red by Bieres de Chimay: While it is a Belgian Dubbel, and darker than these others, it is a beautifully made, easily drinkable Trappist beer that is a classic example of the style.